Behind the scenes at the Sarjeant Gallery over 8,000 items are recorded and managed by means of highly sophisticated collection management software. New Zealander, Bil Vernon, designed the software in 1985 and it was the world’s first PC based collection management system (CMS). It is now widely used by museums and galleries, both nationally and internationally. The Whanganui Regional Museum also uses the system. The Sarjeant has a seasoned Vernon Systems consultant to manage the system. 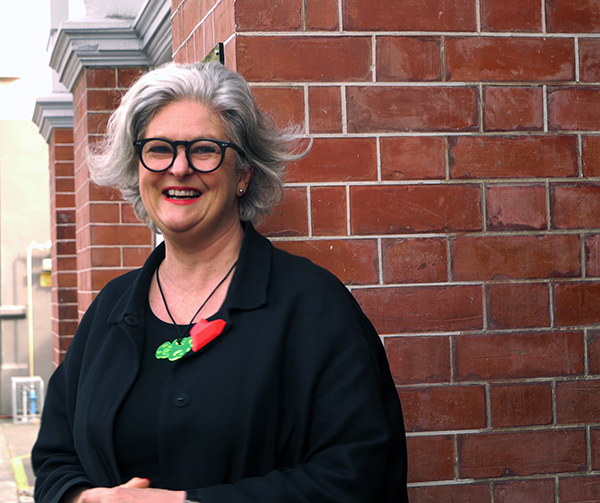 Jennifer Taylor-Moore, the Sarjeant’s curator of collections, proactively purchased the software while working at Te Manawa in Palmerston North. She said the Vernon system made a huge difference making collection information more accessible to staff. She says the company is “very much like a family,” and in fact one family member, Bil Vernon’s niece Nicola, moved recently to Whanganui. She also remembers Bill Milbank, then director of the Sarjeant, attending openings and buying art works such as a Madonna and Child woodblock print by Philip Clairmont that remain in the Sarjeant Gallery collection today. It was when their Auckland gallery closed after 15 years of operation that Mr Vernon and Mr Cohn set about developing a computer system to record and manage works of art. Mr Vernon continued developing and enhancing the system and in 2009 the company launched eHive, a web-based collection cataloguing system, designed so that galleries, museums and private collections could catalogue and publish their collections online.